The mini Sony Xperia Z1S has been involved in yet another leak, this time in the US, adding fuel to the fire that it will be arriving soon. Apparent the smaller version of the Sony Xperia Z1 has recently passed through the FCC in America, although this time it's got a new code name, Amami. According to the leaked FCC filing the Xpiera Z1S Mini is expected to roll out with Android 4.3 Jelly Bean, rather than the newest Android 4.4 KitKat operating system. Other rumours point towards the Xperia Z1S being different to the likes of the Galaxy S4 Mini and One Mini, as it's hotly tipped to inherit the same processing power from its bigger brother. That would mean the Xperia Z1S would pack a punchy 2.2GHz quad-core processor, 2GB of RAM and an Adreno 330 GPU, plus it should also carry the same 20.7MP camera. Of course the main difference between the two handsets is the screen size, with the Xperia Z1S tipped to pack a 4.3-inch display, rather than the 5-inch offering on the flagship phone. 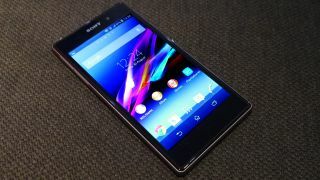 Sony could well take the covers off the Xperia Z1S Mini at CES 2014, and TechRadar will be reporting live from the event to bring you all the latest news. What's the Xperia Z1 like?